Controlling access to task details is very easy in TaskBeat. Although TaskBeat methodology promotes full visibility of all work to all team members there are ways to limit access to certain tasks using the application. 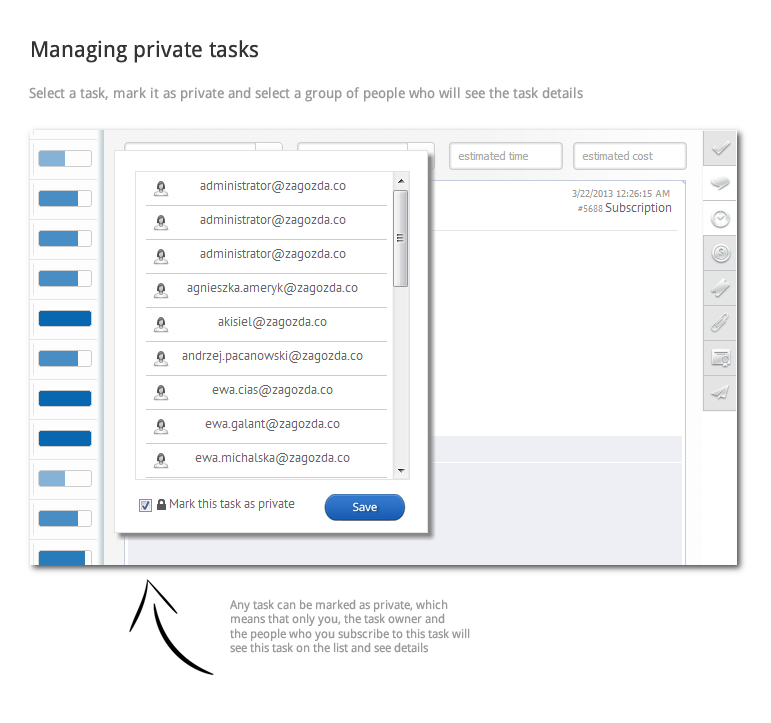 By default TaskBeat provides a very simple model of marking tasks as private via the Subscription command on the task details. Please note the Mark as private command. Any task can be marked as private, which means that only you, the task owner and the people who you subscribe to this task will see this task on the list and see details. Any of the users who can see the task can also modify its details, assign to other person or include more team members to see the task details.